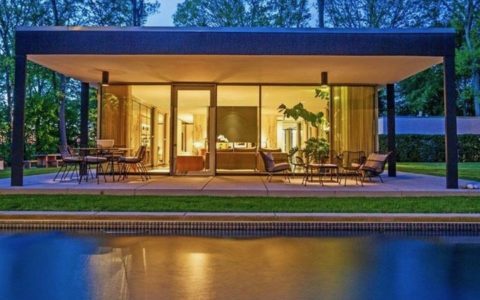 The DeSilver House is located in one of the best maintained mid-century neighbourhoods in the US: New Canaan, Connecticut. We first came across the property when Natalie, the current owner, contacted us asking if we could be interested in featuring the house. It was an obvious, yes. In the process of preparing the interview for the article, Natalie and her husband decided to sell the house due to a relocation. So the feature has now also become the perfect occasion to promote the listing. 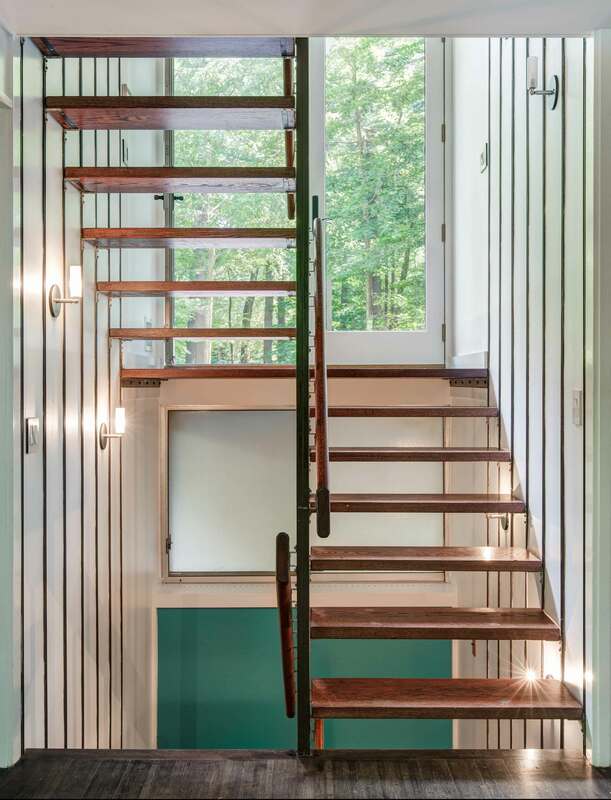 Over the years, we have covered other houses built in the New Canaan neighbourhood, and each time we are surprised by the commitment of the owners to the original spirit of their houses. 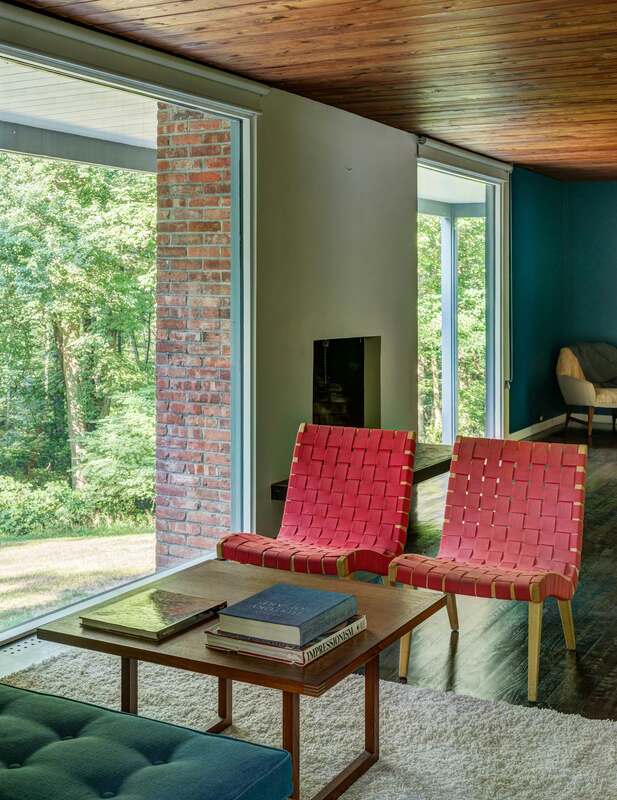 Natalie and her husband have been equally committed to their mission and today she will tell us about her path to buy, restore and live in a mid-century house, respecting the architect’s original vision with every step. See at the end of the interview how to ask for more details. My husband and I are currently based in Sydney, Australia along with our two teenagers and an overly energetic labradoodle that goes by the name of Ruby. I am the founder + director of a Sydney based estate agency that represents residential architecture. 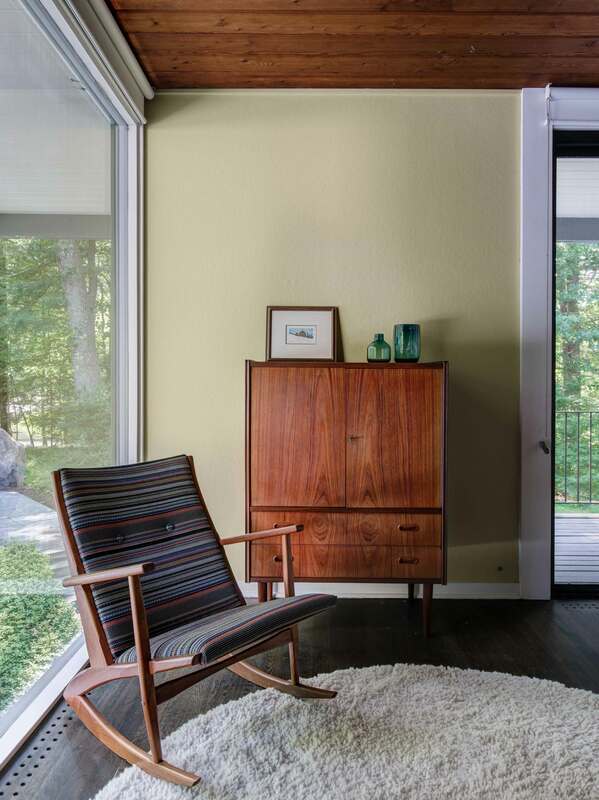 I’m also an avid collector of mid-century furniture with a special interest in Jens Risom and Yngve Ekstrom. 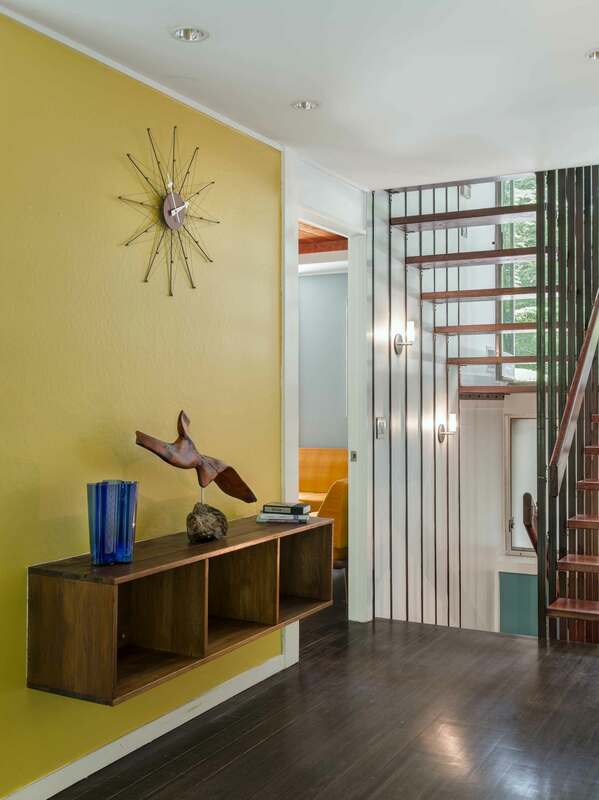 What brought you to living in DeSilver House and what drew you to the mid-century style? My husband’s role in banking saw us move to NYC in 2009 and after 18 months in NYC we decided that a move out of NYC was in order. 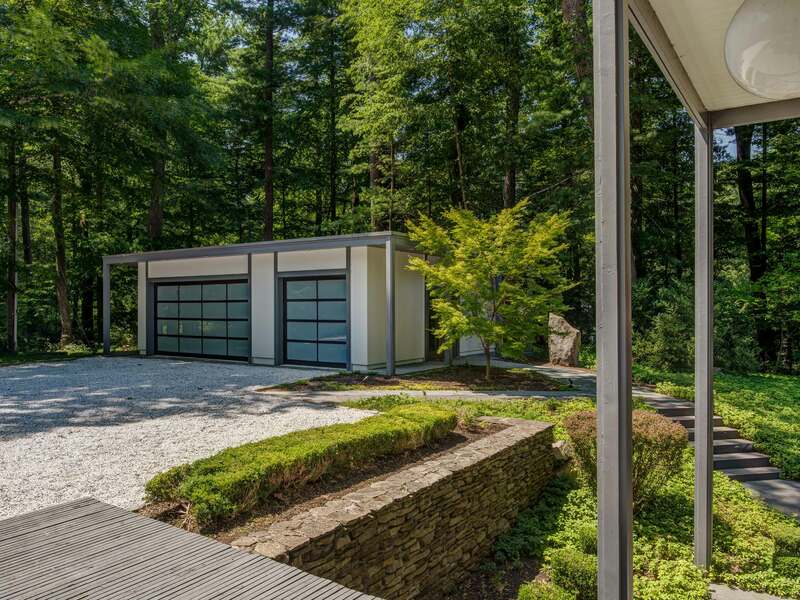 New Canaan was always on our radar because of its modernist pedigree and of course we knew of Philip Johnson’s Glass House. I’m not sure we truly understood the breadth of the modern houses peppered throughout the bucolic town. I recently read a quote from the architect Pietro Belluschi in an article in LIFE magazine [ 06 October 1958] discussing the question of what makes a house livable when it came to the emotional connection Belluschi said “These emotional qualities are the hardest to appraise and the hardest to achieve, but one knows instinctively when they are present”. Belluschi’s words articulate what we find hard to put into words. 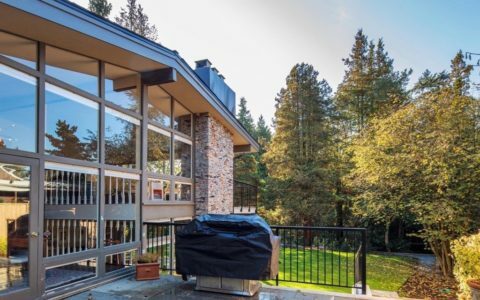 We were mid-century modern enthusiasts from the start, it was never a matter of buying any other style of house although the brokers tried their hardest! What we wanted was design + function. We found that with DeSilver House. What did you know about the architects before moving in? 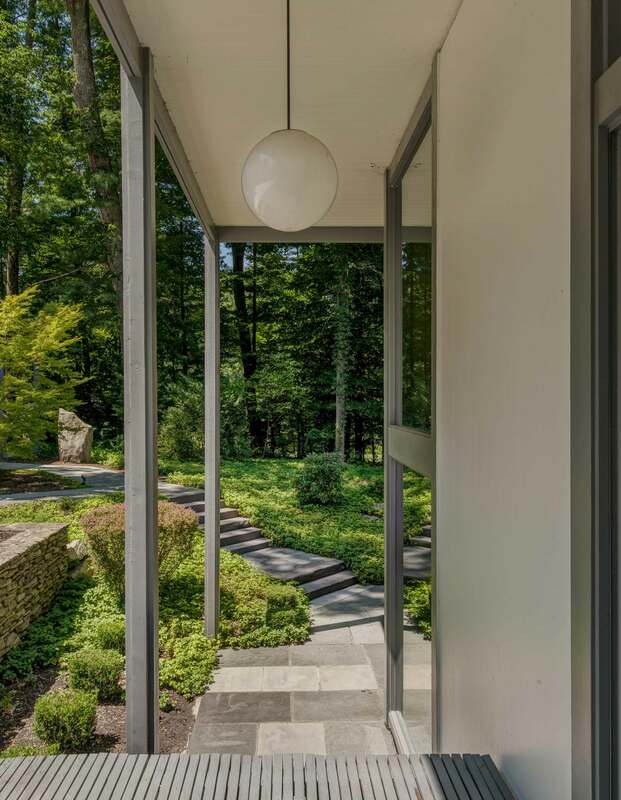 To be quite honest we knew very little about Architect John Black Lee, who achieved that objective in designing and building DeSilver House alongside Harrison DeSilver. Their business partnership spanned over 20 years. 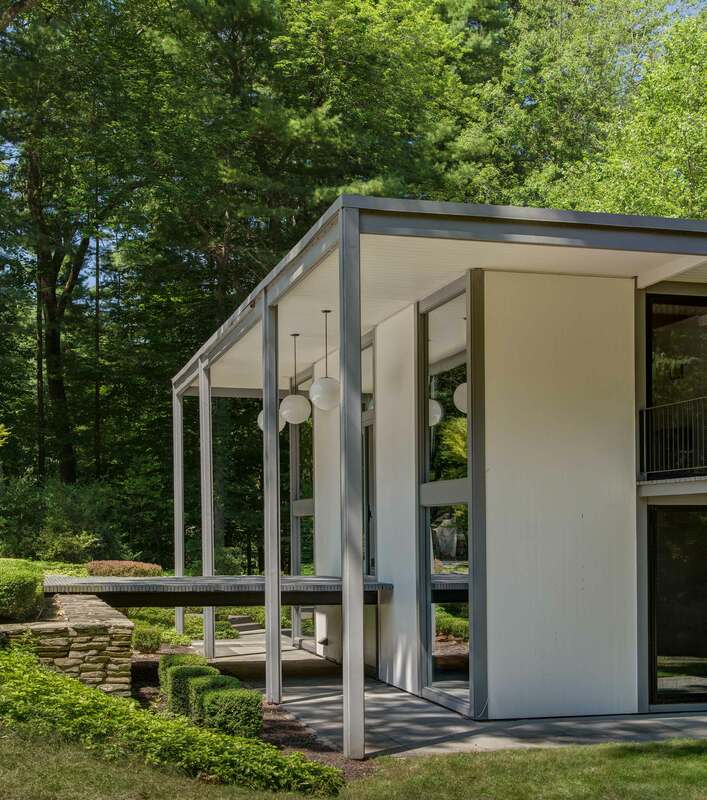 I have recently reached out to Harrison DeSilver’s son, who has warmly and very kindly agreed to share some information about his father’s architectural work. Do you feel a responsibility for living in a house designed by AIA winning architects? We feel a deep responsibility to the legacies of the architects and indeed to their families. 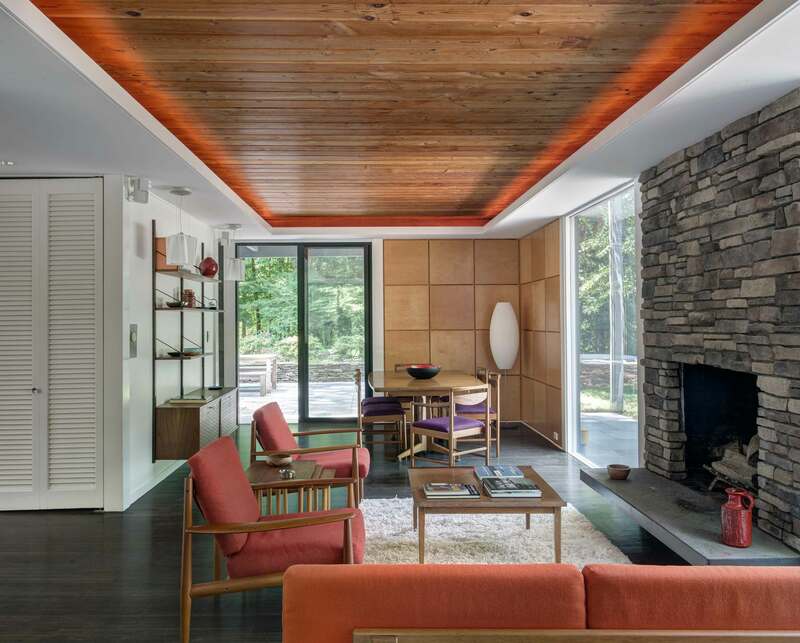 We also feel great responsibility to the wider modernist community of New Canaan. 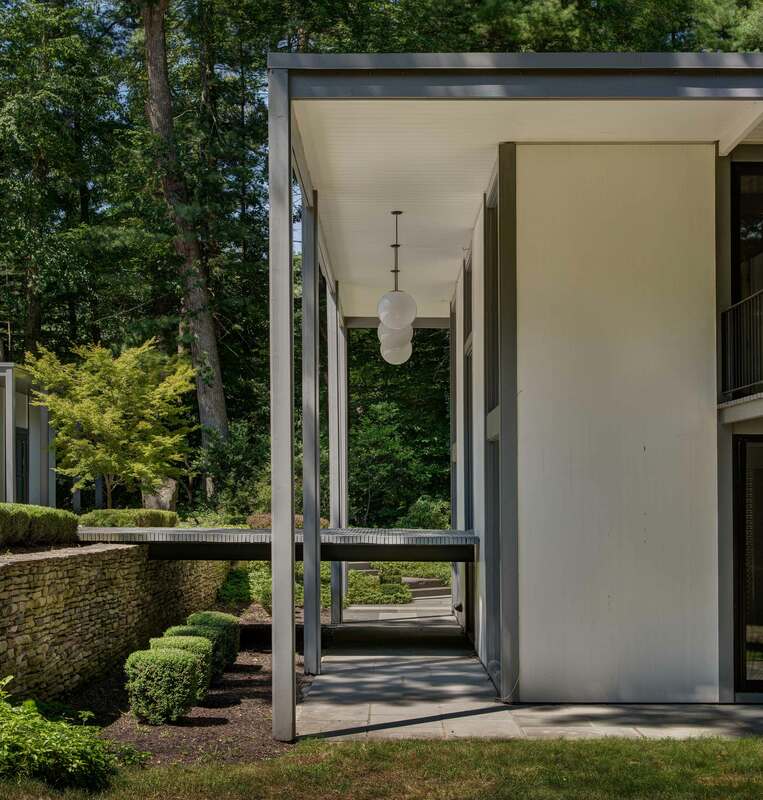 I would like to think that the architects would be delighted that DeSilver House is lived in and loved by a family with great respect for the integrity of the house, the landscape and for the community of New Canaan. 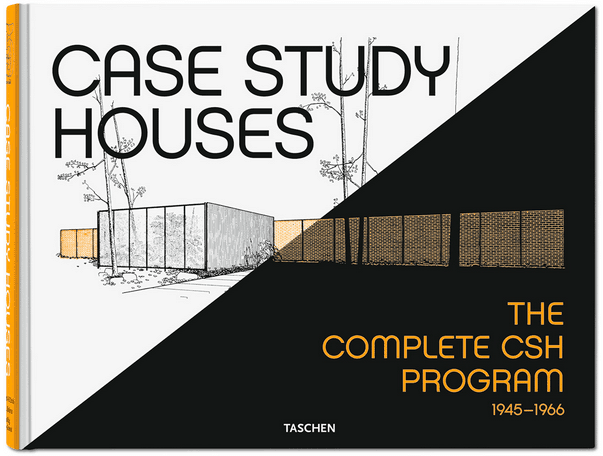 The footprint of the house is largely as it was designed in 1961. We re-installed an interior wall in the main living space which had been taken out by the previous custodians. I understand why they took it out but it also made more sense to us as a family to reinstate the separate study as the architects had designed. Our next project is to reinstate the interior wall upstairs in the master bedroom as per the original floorplan. The house features a flat roof that, we heard many times, can be difficult to maintain. What is your experience with that? We love our flat roof. It gives us no trouble at all. It just requires that you send someone up quarterly to blow the leaves off. That someone is usually my husband, it probably shouldn’t be, we really should get someone to do it for us! Not at all. We love the mid-century aesthetic so the only constraints we have is maintaining some degree of self-control at auctions! We like to mix it up, I’m forever moving things around, adding ceramics and architecture plus design books to our collection. 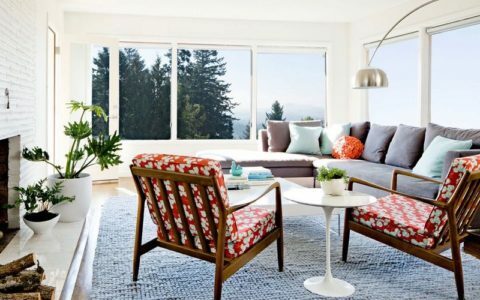 Do you think it is important to have original home décor? If so, why? We sourced many of our pieces from Valentina Thorsen of Modern Archive Shop. First and foremost, the furniture that I collect must have a degree of utility, a sensibility and function. Whether that is an original piece or a piece from an emerging designer, I tend to be focused on simplicity and usability. I particularly love auctions. Westport Auctions and Butterscotch Auctions are my go to auction houses. My son is becoming increasingly panicked about his college fund! 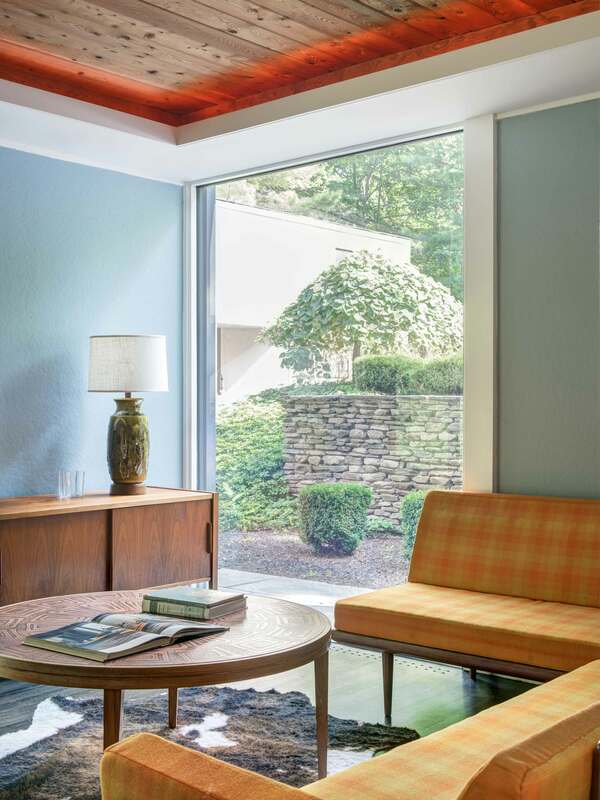 What do you think is special about living in a mid-century house? When I asked my husband, this question he said “everything”. There isn’t a room in the house that doesn’t afford beautiful views of the land. Mid-century architecture always had something to do with the land. Our windows are floor-to-ceiling in every room, the light changes with the seasons. There is nothing better than sitting by the fire watching the snow fall. Mid-Century living is in-house theatre all year round. 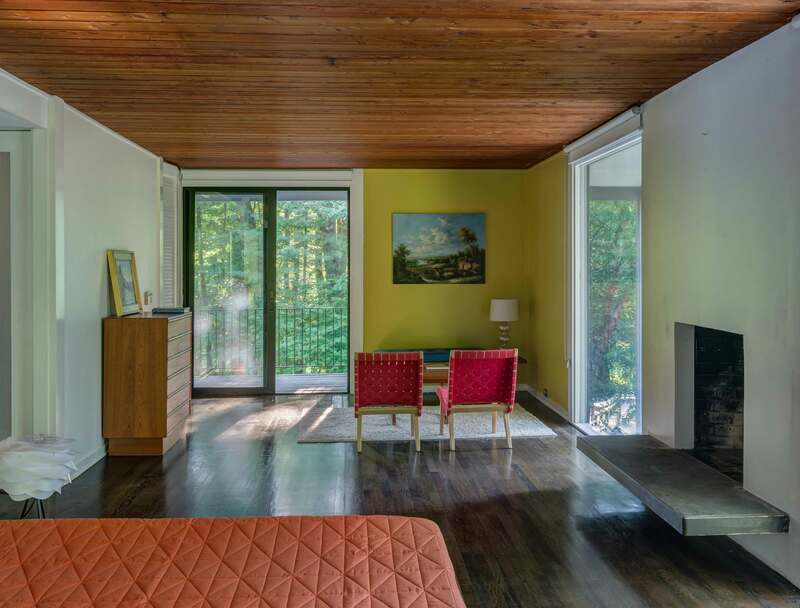 What would you suggest to people interested in buying a mid-century house today? Don’t be intimidated by design. By its very nature mid-century is modest and was designed for family living. These houses aren’t museum pieces they need to be lived in. Don’t get fixated on the square footage, focus on the functionality and flow of the space. Sit down with the floorplans. 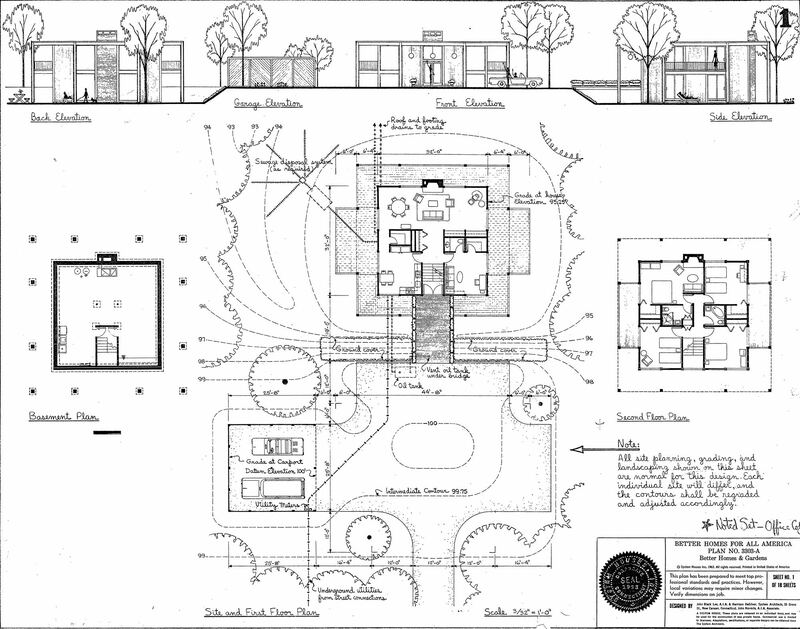 I find great enjoyment in looking at the details in our plans. Look at how the house relates to the landscape. The house should be part of the landscape. The modern houses built in New Canaan all had something to do with the land that they were built on. What they should pay attention to and why? We were fortunate that the previous custodians had replaced all the single pane glass with double glazing. It makes a huge difference to the efficiency of the house throughout the seasons. We really should have engaged an arborist to provide us with a comprehensive report of the property before purchasing. Also, don’t be afraid of flat roofs, none of what you hear is true! 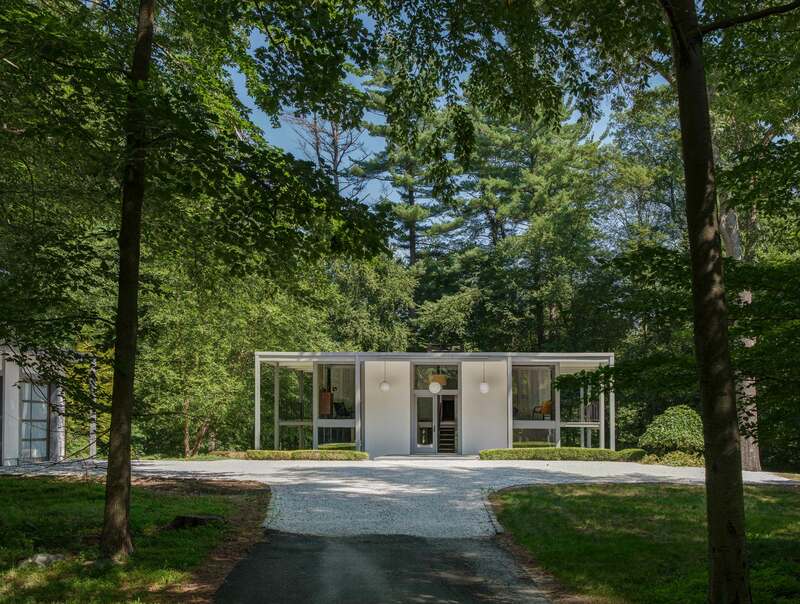 “In 1961 DeSilver House represented an opportunity for middle class America to own an architect-designed modern house, without compromising on design or function. 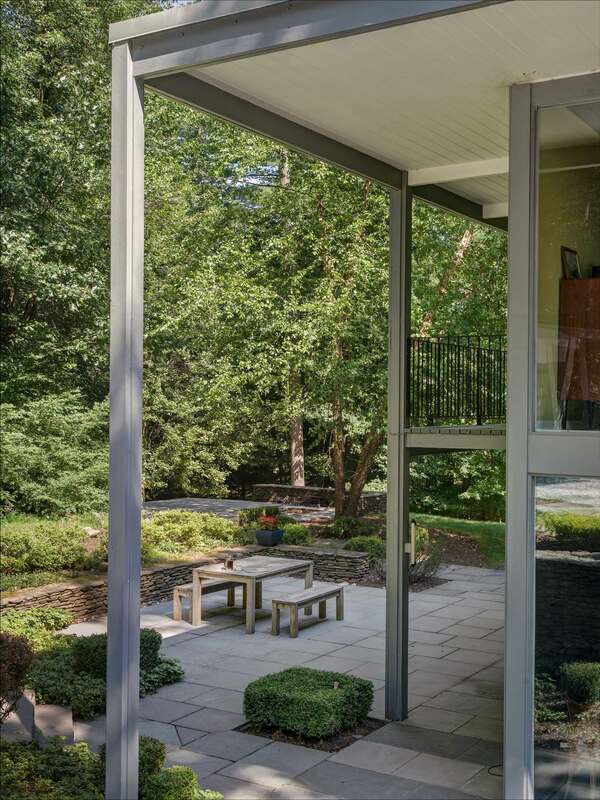 With an adaptable floor plan, a fully equipped Miele kitchen and expansive outdoor entertaining patios, DeSilver House still lives up to its original intention. For sale enquires, click here. For more info on the listing, click here.